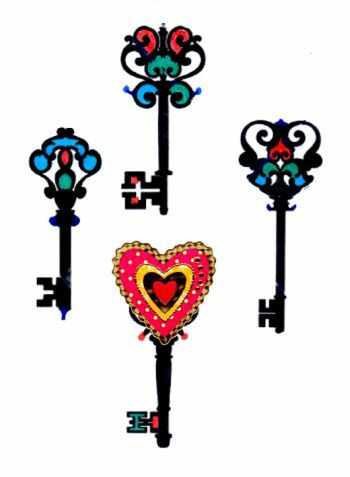 Synopsis: First we introduce the four wondrous, summation keys for a full long life; then we talk about ‘Aiming’ your love; unlearning issues; the biggest love lie; a great truth about love; and finally, paths by which to love more. Are you Interested in living a full, long, healthy life? There are four keys, according to Dr. Dean Ornish, a much noted physician whose research and many publications, including his excellent book Love and Survival, focuses on living healthfully longer and having a high-quality, enriched life. After reviewing a huge number of studies, he concluded that living well and longer can be boiled down to four major areas in which your actions can make an enormous difference. There are two big areas to do more of and two other big areas to do less of. 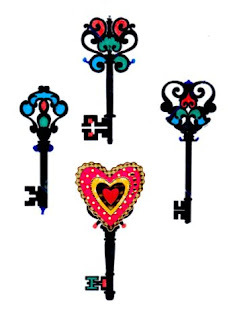 For people in the developed world, the number one key is eat less, the number two key is move more, the number three key is stress less and the fourth key is love more! The next issue to ponder is how to do well in each of those four, big, key areas? There are lots of subcomponents you can learn about from many sources concerning diet, exercise and stress management. But what about love? Well, if you have been reading many entries on site you know that there are many components, factors and applications you can learn concerning love, and that is what we are focusing on here. Loving more is probably going to take you thinking more about love, actively studying more about love and, most of all, practicing love actions more. It also helps to have a lot of love questions to ask yourself, and maybe talk them over with others. Questions like: Who and what are you going to love more? How much do you know about all the actions that convey love? What do you do about receiving love? What is your involvement with altruistic love? Are you good at love adventures? 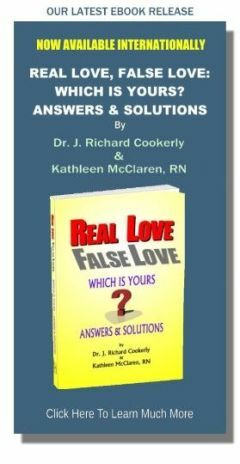 How much do you know about the differences between real and false love? Indeed, there are at least 1000 more questions to get excited about, and enriched by, as you search and find answers. You might want to start by thinking of where is it best for you to begin to aim your love efforts? Also, exactly how will you increase your love studying and learning? Unfortunately, there are many false teachings, destructive cultural messages, misleading traditions and counterproductive societal norms which may have gotten into your head concerning love. All those may lead you to fail at love. It seems we are just now beginning to start understanding what makes healthy, real love. Interestingly, down through the ages there are many ‘wisdom Masters’ who seem to have known all along what science is just now discovering. Then there is false love and its several syndromes lurking there to lead you astray. You may have to examine what has gotten into your head that you might need to unlearn. Without unlearning the falsehoods you can’t go freely onto the better knowledge about ‘loving more’. (To help you with that, look at the entries on this site, in the Subject Index under Love Myths). One false teaching or understanding about love deserves special attention. It comes in lots of different variations. Basically, it is the myth that says “love is all done by mysterious, perhaps supernatural magic which is out of your control and, therefore, there is nothing you can really do about love. It is all done by luck, fate, the stars, one deity or another, or who knows what. If you are a ‘star-crossed lover’, or just unlucky at love, well too bad, you lose, and that is all there is to it.” However, I suspect you don’t really believe that or you would not be reading this right now. If you even subconsciously or semi-consciously sort of think that big lie might be true, you can be in danger of that belief (or suspicion) becoming a self-fulfilling prophecy. Even worse, that myth might guide you away from learning all the many, wonderful things there are to learn about love which actually work, and which can help you grow your own great love successes. Love is natural but how to get it, give it, grow it and share it is learned. Some people are lucky enough to grow up in a very loving family, and they subconsciously learn all this at an early age because love-success actions were repeatedly modeled for them throughout their upbringing. The rest of us can consciously work to learn how to love well and love more, much like we learn everything else important. We purposely study it, and we explore it, and experiment with it to find what works for us, and then we practice, practice, practice! Both modern science and the wisdom of the ancients point to this truth about love. Love like food is natural but there’s a tremendous amount you can learn to do about it. Teaching how to love better and more is a major component in the great religions of the world. The natural phenomenon of love is increasingly becoming evident in the brain and other medical related sciences. Learning to love well and more also can increasingly be seen in the behavioral sciences. Even in behavioral economics, love is being studied so it can be understood and accomplished better and more. (Read The Psychology and Economics of Happiness Love, Life And Positive Living by Prof. Lok Sang Ho, head of the Department of Economics at Lingnan University, Hong Kong). First of all you can do what you doing right now, and that is read. There is a lot written about love and some of it is pretty worthwhile. Another thing you can do is join with other people who have a love-centered orientation or involvement. That could mean a really deep, loving, friendship network; a voluntary effort trying to lovingly assist some group of people who need one sort of help or another; joining with those involved in a life betterment cause and for which love provides a method or some form of real “ministry”. Meditation and prayer have provided many people with a sort of core loving approach which then stretches out to all they contact. Applying yourself in multiple kinds of love, of which there are quite a few, works well for many. You can start by reading entries at this site on kinds of love which is found in the Subject Index. Learning to center yourself in love, and come from love toward each major area of your life is another kind of path toward loving more. Deciding to enlarge the number of ways you show love, choosing to magnifying the intensity of your demonstrations of love, and refining and elaborating the quality by which you do love actions, all can get you on a path toward loving more. Some people keep expanding their number of love targets, but remember one of your love targets needs to be yourself. Part of healthy self-love can be striving to eat less, move more and stress less and, thus, you will be using all four keys to a good, long life. Of all the people, creatures and other entities you personally have involvement with, which would be your best target for loving more first?